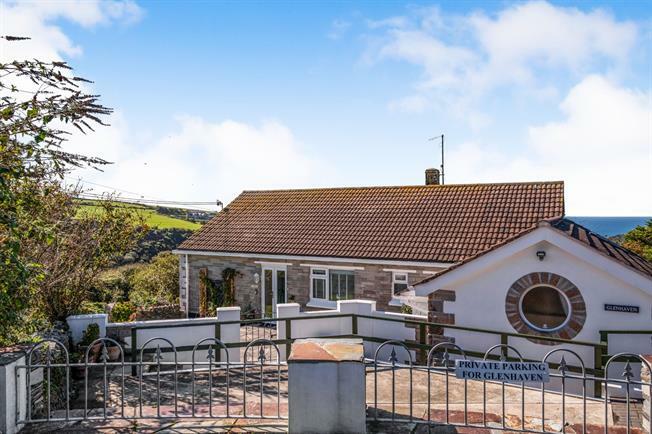 3 Bedroom Detached Bungalow For Sale in Tintagel for Asking Price £400,000. Perched on one side of a valley, in a tucked away location this incredible property enjoys views over North Cornwall's rolling hills, the rugged coastline and the Atlantic. The property has been extended and refurbished in recent years and now offers a spacious two double bedroom bungalow along with a luxurious self contained annexe. 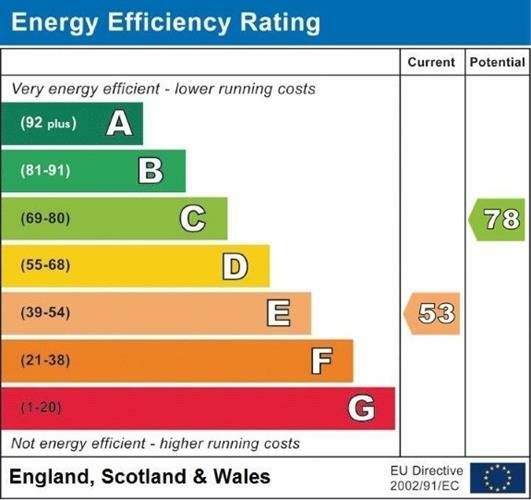 Planning consent has also been given for a loft conversion. Additionally the property enjoys landscaped gardens, driveway parking, uPVC double glazing and oil fired central heating. UPVC double glazed French doors open from the patio and into the porch, inner door gives access to the hallway. Hallway runs the length of the house. Hardwood flooring, pull down loft hatch with ladder provides access to the generous loft space which has planning consent for an additional bedroom and en-suite bathroom. Double glazed uPVC window faces the side and enjoys a stunning outlook over the valley and towards the coastline. Carpeted flooring and radiator. Double glazed uPVC window facing sunny, enclosed front garden. Built in storage cupboard, carpeted flooring and radiator. Double glazed uPVC window with obscure glass. Close coupled WC, single enclosure shower, pedestal sink. Radiator, vinyl flooring. A double glazed uPVC window faces the side and double glazed uPVC doors provide dual aspect views over the surrounding areas. Bespoke, fitted shutters can be closed or opened and let the two rooms act as one when required. Carpeted flooring and radiator. Dual aspect panoramic windows affording incredible sea views and sunsets. Carpeted flooring and radiator. Dual aspect windows overlook the sheltered garden patio to the side and coastal views to the rear. Kitchen comprises of roll top work surfaces, wall and base units, one and a half bowl sink with mixer tap and drainer, integrated oven, hob and overhead extractor. Additionally there's space for a dishwasher and washing machine. Hardwood flooring, and radiator. Double glazed uPVC window with obscured glass. P shaped corner bath with shower above and screen, close coupled WC and wash hand basin. Built in storage shelves, hardwood flooring and radiator. UPVC double glazed door opens onto the patio area. Rear facing double glazed uPVC windows offering fabulous views. Tiled flooring. A uPVC double glazed door opens out onto a raised, private patio area. The light open plan space enjoys vaulted ceilings, a velux window, laminate flooring and radiator. A uPVC front double glazed door opens onto the front patio. Kitchen comprises of roll top work surfaces, wall and base units, ceramic sink with drainer, integrated oven, hob and fridge freezer. Additionally there's space for a washer dryer. Laminate flooring and radiator. Double glazed uPVC window with obscured glass and velux window. Close coupled WC, single enclosure shower and sink with vanity unit. Radiator, vinyl flooring. Double glazed uPVC bay window affords delightful views over the garden and valley beyond. Circular feature window, carpeted flooring and radiator. The property benefits from generous landscaped, low maintenance, private gardens which again enjoy the beautiful scenery. Approaching the property there's driveway parking for multiple vehicles and a gate leads into the front patio area. The patio area continues around the side of the property to a lawned area and timber workshop with power and lighting. A second patio area is located at the top of the lawn which leads to side access that runs the length of the building.